If Bingin has been a simple surfers’ paradise since the 70s, it is now also coveted by photographers thrilling to shoot its incredible scenery from the top of its cliff and take back home those wonderful souvenirs. 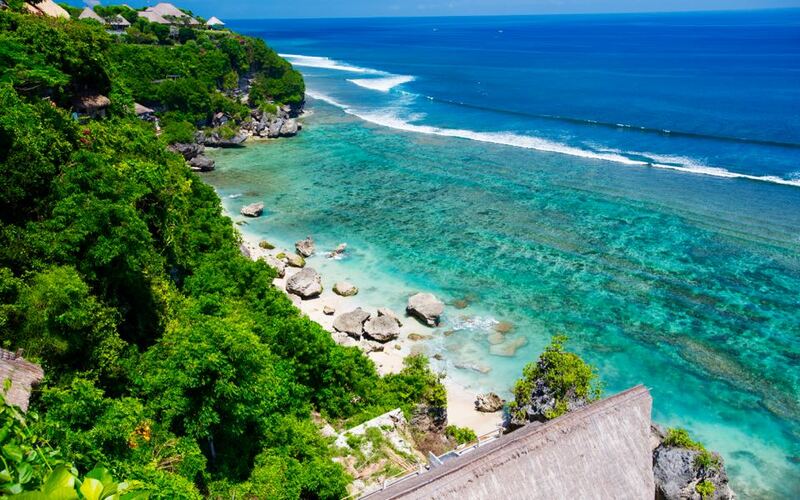 Indeed it provides incomparable points of view on the crystal clear Indian ocean, contrasted with limestone cliffs and the dramatic colors in the sky. Off the beaten path, Its pristine beaches are perfect to kick-back and relax for a day trip. The Bukit is a world apart from Kuta’s crowd and crazy Seminyak, and will completely fulfill your soul with happiness if you’re looking for tranquility . The access to the stretch of white sand can be a bit challenging since walking over uneven rocks is necessary, but the majority of people that has been to Bingin Beach agree that it definitely worth it before adding the famous “No pain, no gain”. We strongly recommend to non-surfers and sunbathers to visit Bingin at low tide, so that most of the stretch of sand is revealed. Kick back and enjoy outstanding views over the Indian ocean, while sipping an icy cold beer and/or enjoying fresh seafood brought by fishermen in the morning. Surfing Bingin Beach is suitable for advanced surfers. It’s a sharp and shallow left hander that handles up to 8 ft swell, and requires its riders to take-off quickly to seize the opportunity of getting barreled. 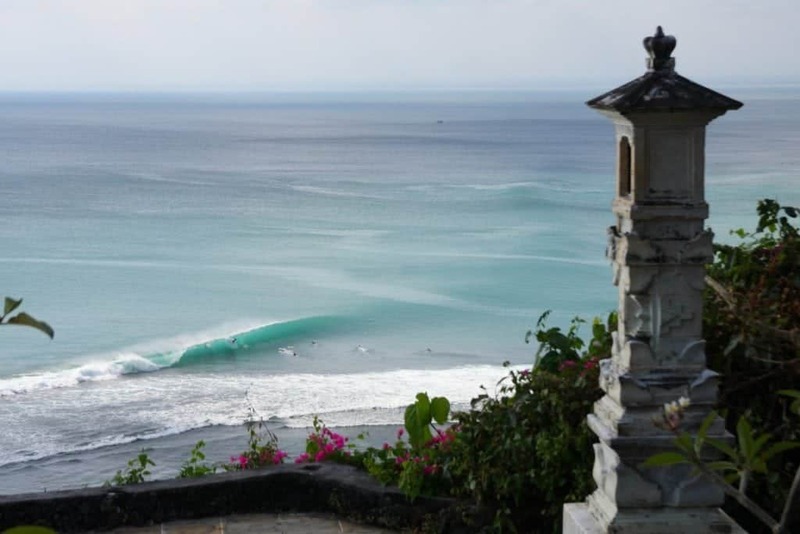 Indo surfing is at its best during dry season (April to September) but also gets more crowded. Timing is really important, as usual, especially while surfing Bali and its reef breaks! 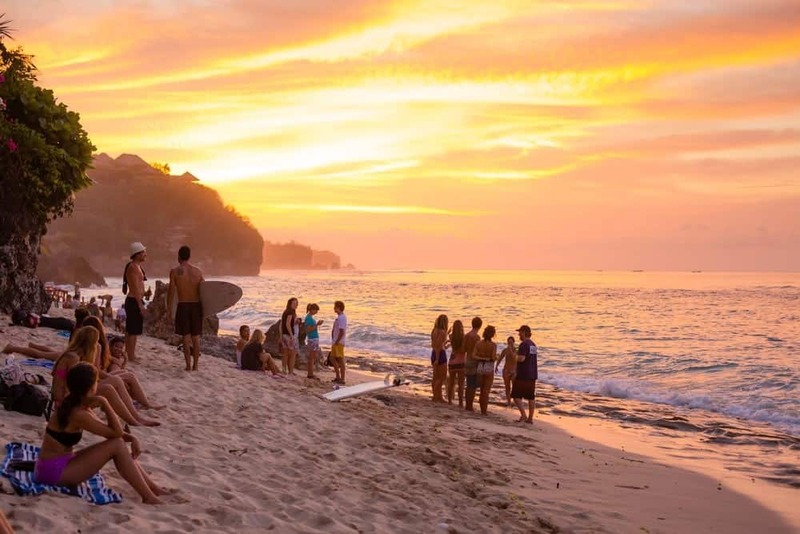 Getting here is just several minutes north from Uluwatu Temple (another world-class surf spot!) and Only 10 mins scooter drive from S-Resorts Bali. If you’re keen on a beachscape away from the crowds, Bingin beach is a quiet, peaceful, and serene paradise on earth to go to make the most of your holidays.